The 24-room Island Inn Hotel, an ideal all-inclusive getaway for a couples retreat or family vacation on Barbados, is offering an early booking bonus of 15%. BRIDGETOWN, Barbados – The 24-room Island Inn Hotel, an ideal all-inclusive getaway for a couples retreat or family vacation, is offering an early booking bonus of 15% off stays that are a minimum of five nights when booked directly on the Island Inn website. An Island Inn Hotel all-inclusive vacation includes breakfast, lunch, dinner, afternoon tea and all beverages (except specialty wines, champagne and bottled water) as well as in-pool scuba lessons which are available by request. Island Inn also features a new mini gym on property for guest use. Through the early booking offer, rates begin at US$353 per room, per night, based on double occupancy. Rates vary based on travel dates. 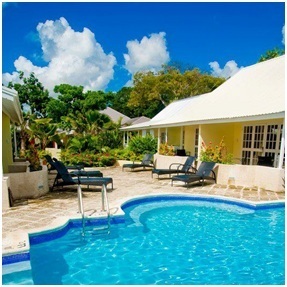 To take advantage of the early booking offer, reservations must be made on www.IslandInnBarbados.com by March 31, 2015 for travel by Dec. 22, 2015. The quaint property is the perfect setting for a tropical vacation steeped with a rich, historic past, situated just footsteps from beautiful Carlisle Bay, less than one mile from the center of Bridgetown and conveniently located near the UNESCO world heritage site in the Garrison Historic Area of Barbados, which also boasts numerous shops and nightlife options. Originally constructed in 1804 as a rum storage facility for the British Regiment, Island Inn amazes guests with its simplicity and old-world charm and is perfect whether visiting alone, traveling on a family vacation or staying on business. The newly renovated boutique hotel offers unrivaled warmth of atmosphere with contemporary ambiance and a true Bajan experience.